CITY of Plymouth’s Jack Williams claimed victory in the 2017 Armada Autumn Trail Run at Newnham Park on Sunday. Williams had finished third last year, but this time around was more than a minute ahead of anyone else in tough conditions. Heavy rain had left the water crossings extremely deep, with Mountain Rescue even offering rope assistance on the final one. 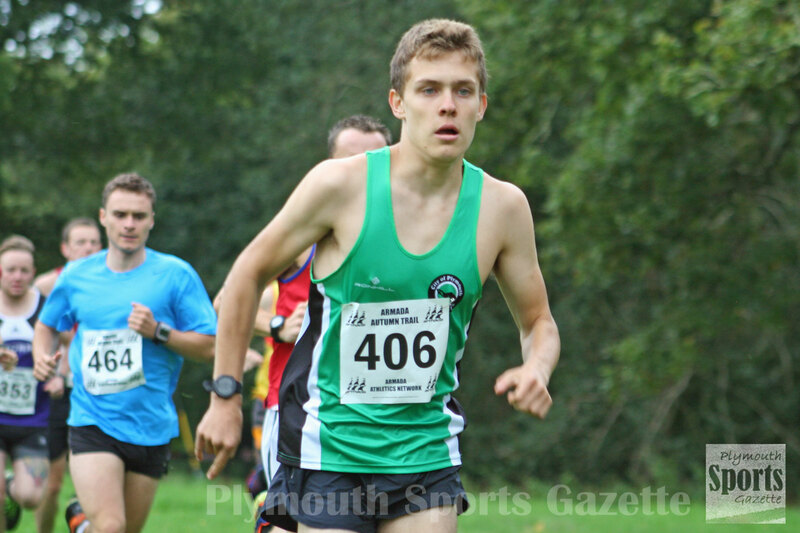 Williams clocked 45 minutes and 24 seconds, with Storm Plymouth’s Ross Perkins taking second in 46.28 minutes. Third was Plymstock Road Runners’ over-50 veteran Graham Bale, who finished in 46.44 minutes. There was a great race for fourth place with Tamar Trotters’ George Prewett clocking 47.41 to edge out Plymouth Harriers’ Steve Fletcher by just one second. Tamar Trotters Rebecca Ezra retained the women’s title with a dominant run. 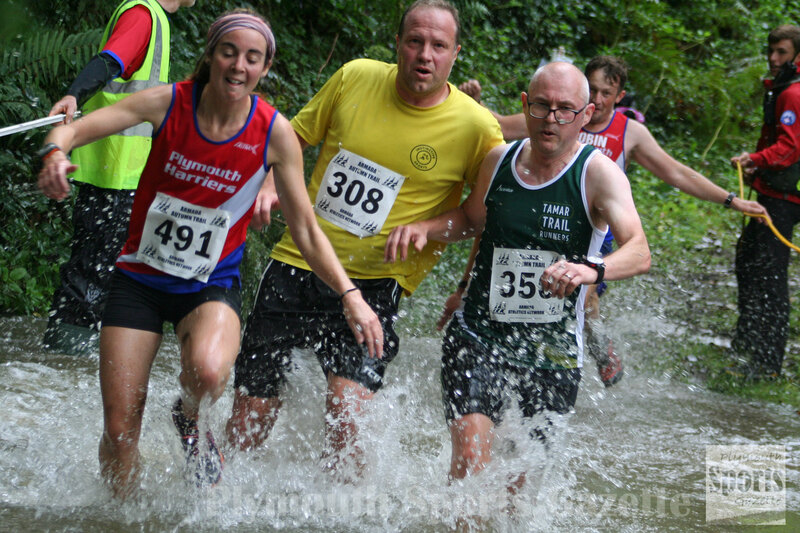 Ezra was three-and-a-half minutes ahead of her nearest rivals. She finished ninth overall in 50.57. 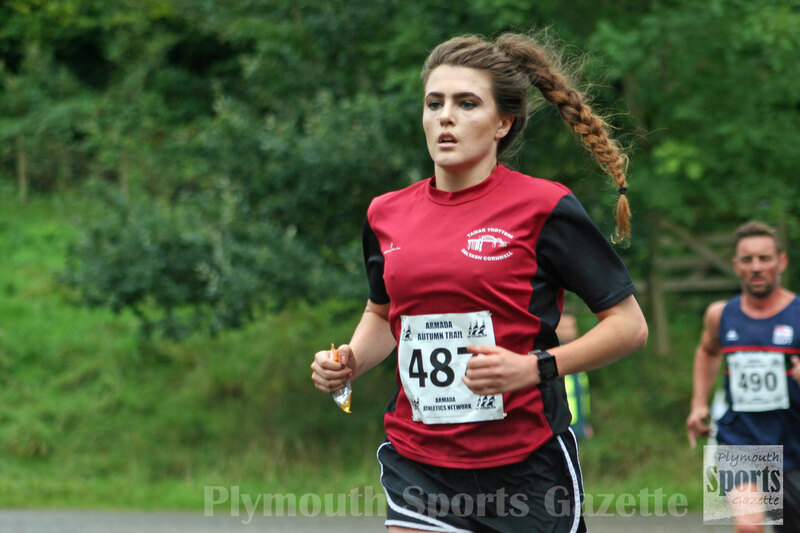 Second women was Joanna Hudson, who clocked 54.28, with Plymouth Striders’ over-50 veteran Jennie Kingdom taking third in 57.30 and City of Plymouth’s Paula Simson coming fourth and first over-40 in 57.53. This year’s event saw 272 finishers, which was nearly 70 more than in 2016. Before the main race there was an adventure fun run for youngsters. 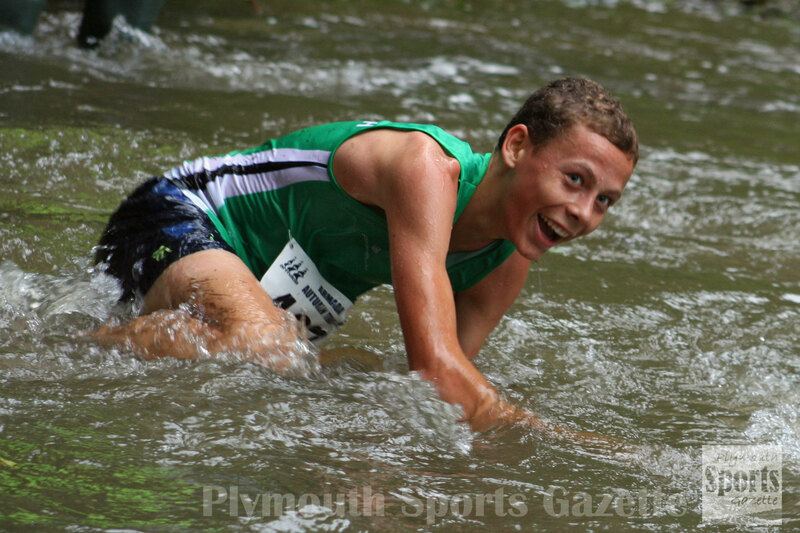 Erme Valley Harriers’ 17-year-old Liam Hallows won that in 9.49 minutes. Jamie Frost, 14, was second in 9.57, while just one second separated 11-year-olds Jack Holland (11.00) and Nicolas Maczusoswki (11.01) in third and fourth, respectively. Holly Reid, 10, was first girl in the fun run, clocking 11.23 minutes. Second girl was Emily Childs, 14, in 12.01, with 10-year-olds Bella May (14.03) and Libby Kirby (14.04) finishing third and fourth. Full results of the main race can be found HERE. Results of the fun run are available HERE.